AUDITING Meaning, Definition , Objectives, Advantages and Disadvantages, Basic Principles of Auditing. In this article we will discuss about AUDITING Meaning, Definition , Objectives, Advantages and Disadvantages, Basic Principles of Auditing. 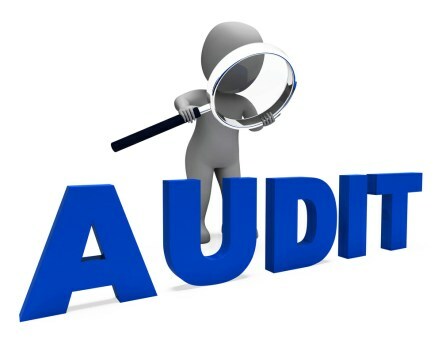 Auditing is a process in which there is systemic and scientific examination of company accounts by a well qualified person.The word audit derived from Latin word” Au-dire ” which means” to hear”. Auditor can examine the books of accounts to ensure that accounts of the company is properly maintained or not. True and fair accounts of the company shows their financial position and deducting errors. Following are the Features of Auditing. Verification of activity – In auditing the auditor can verify the activity of company and before auditing of company accounts by qualified person the company examine their own accounts which is known as internal audit. Examination of Accounts – In auditing process their is systematic and scientific process of examination of books of accounts by a qualified person. 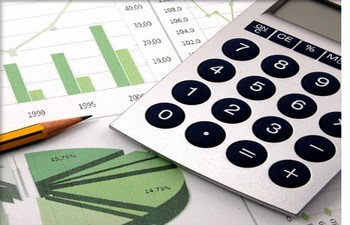 Ascertain financial statements – The Auditor has to ascertain financial statements of the company by inspect, compare, check and review all financial vouchers. Review of accounting system – Auditing is a review of accounting system and Internal control. According to the section 143 of companies act 2013, the Primary Objective of auditing is to report the owners whether the financial statement provides true and fair view of financial matters of the company. You can watch this video to understand this topic. Following are the Principles of Auditing. Auditor should follow principle of auditing. Auditor should properly examine company accounts. Prevention and Detection of errors and frauds. Auditor should make report at the end. Following are the Advantages of Auditing. Satisfaction of the business man. Detection and Prevention of errors and frauds. Following are the Disadvantages of Auditing. Costly : In auditing there is examination of company accounts and this process is very costly. Based on test checking. : The auditing process us based on test checking in a business organisation and it consume lot of time. Limited Time: In auditing the auditor having limited time for examination of books of accounts. All information is provided by management. That was all in this article, we discussed about AUDITING Meaning, Definition , Objectives, Advantages and Disadvantages, Basic Principles of Auditing. For any query comment below. 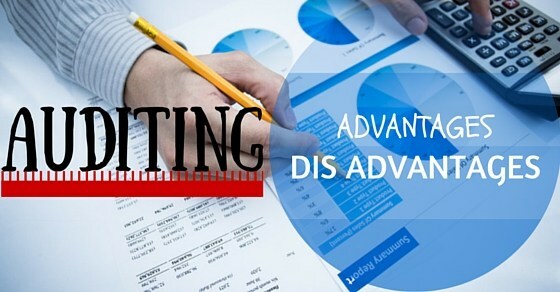 advantages of auditingAuditing basic principlesauditing meaning and objectivesAuditing principlesAuditing – MeaningDisabvantages of auditingDisadvantages of auditinginterim audit meaningmain objectives of auditingMeaning of auditingObjectives of account standardsObjectives of an Audit (Explained with Chart)Objectives Of Audit / Accounting-Managementobjectives of auditingobjectives of auditing financial statementsobjectives of auditing slideshare ppt pdf downloadobjectives of auditing under companies act 2013objectives of internal control in auditingobjectives of investigation in auditingorganizationalpersonal and social objectivesPrimary and secondary objecives of auditingprimary objectives of auditingsecondary objectives of auditingtypes of vouching in auditingwhat is the meaning of auditingWhy auditing is necessary in company /organisation.